Being a musician of any kind is a pretty cool gig. After all, your profession involves being admired, applauded, meeting fans, traveling, and more. No question, there are some fairly great perks of the job, on top of the pure joy of creating. The reality of what happens behind the scenes, however, can be lost on the casual listener ― namely, that creating and marketing recorded music takes time, effort and perhaps most importantly, money. For 30 years FACTOR ― the Foundation Assisting Canadian Talent On Recordings ― has been one of the most important funding organizations for all arms of the music industry in Canada, providing grants and recoupable loans to artists, managers, labels, publishers, entrepreneurs, and more. Supported in part by Canadian radio broadcasters and the Department of Canadian Heritage's Canada Music Fund, the organization, operating as a non-profit, is a vital part of the success long enjoyed by this country's music industry. 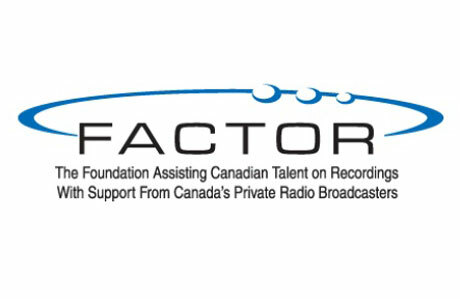 In addition to providing support for recording projects, FACTOR has programs to help foster growth in other areas of the industry. Grants for touring, marketing, business development, and more help both musicians and music industry professionals remain competitive nationally and internationally. The Collective Initiatives program, which supports conferences, educational initiatives, and awards shows, helps make national and regional events like the Junos, Canadian Music Fest, and Breakout West possible. Smaller local initiatives and digital projects are also funding through this program. At the core, however, FACTOR remains a funding organization for recordings. With the recording industry undergoing such drastic changes over the past decade or so, many wonder: should the organization embrace a new direction? Well, it sort of already has. A little over a year ago, FACTOR saw a changing of the guard. Leaving his post at CIMA (formerly CIRPA) to take over as President was Duncan McKie, who quickly added Allison Outhit as Vice President, Operations. (Outhit is also a former Music School columnist, and remains the Allison behind "Ask Allison.") Many in the industry saw this as the chance for FACTOR to update its programs, or hit the "refresh" button, as it were. Case in point: every March, the beginning of their new fiscal year, FACTOR releases new program guidelines. This year, many in the industry were anticipating drastic changes to go along with the new team at the helm. Although there were several key improvements, much of the change was cosmetic, leaving the industry curious about where FACTOR is headed in the long term. "It's true, FACTOR hasn't always kept up with significant industry changes," says Outhit. But she also states that any new improvements that FACTOR makes will be in the form of "an ongoing transition. We're always looking for ways to improve our programs to match the realities of the industry, without putting undue stress on our stakeholders." It's a difficult task, no question. Maintaining a delicate balance between the foundational focus and the evolving industry is crucial for everyone involved. But despite the lack of radical changes this past month, Outhit suggests that a new set of rules is being developed. How? "Collaboratively," says Outhit. "We're reaching out to the industry to let them know we're ready to work with them to update our programs." That's not just lip service, either. On March 20, FACTOR hosted a day-long funding symposium with other funding bodies in Canada to share stories, find out what works for them, and how to best work together. This event gives agencies such as CIMA, OMDC, MUCHFact, regional Arts Councils, and more to have their say, while making sure that the objectives of FACTOR and its own funders are met. This isn't to say that some positive changes haven't already been made. For example, as more artists look to touring to make up a larger portion of their income, the demand on the Tour Support program has increased. FACTOR has reacted by diverting a larger percentage of their funding this program to enable a larger number of artists to receive support for getting on the road. There have also been some other small yet significant changes in programming requirements. For example, Tour Support now comes as a flat subsidy instead of shortfall or deficit funding; artists can submit an application for Marketing & Promotion funding at the same time as their Sound Recording application (for submissions to the FACTOR-funded Sound Recording program); distribution guidelines have been fine-tuned to meet genre-specific needs; and more. Individually, each of these changes may not seem like that much. But little by little, as these program tweaks emerge, it's clear that FACTOR is holding true to its word on adapting to new demands and a new climate. This doesn't mean that getting funding for your projects will get any easier, however. According to Outhit, some programs are only able to support about 30 percent of the applicants, and not always in the amount requested. "We'll always be over-subscribed, and demand is so intense that we have to disqualify many people due to technicalities [in the submissions process]," she says. "Here's a message to artists: Do the best job you can with your submissions, and if you have questions, call us. We want to help you!" For those who live in Toronto, calling may not be the only option going forward. Another exciting change for FACTOR is the relocation of their head office. Although details of the new location haven't been made public, we have it on good authority that the words "central" and "downtown" will accurately describe it. The change is one of convenience, sure, but it's also symbolic of the new, open, accessible and common-sense vibe that you get when talking with the organizations' figureheads. So while a drastic, curtain-lifting moment may not have happened this time around, it's clear that positive change is in the air. FACTOR is aiming to be more collaborative, more accessible, and more relevant than ever before, and ensuring that the process of re-invention happens on a realistic and continuous basis.